Volkswagen Group has denied that defeat device software has been fitted to its US 3.0-litre V6 diesel engines after the Environmental Protection Agency (EPA) said it found illegal software. The EPA issued its second notice of violation (NOV) to VW Group alleging that VW developed and installed a defeat device in certain VW, Audi and Porsche light duty diesel vehicles equipped with 3.0-litre engines for model years 2014 to 2016 that increases emissions of nitrogen oxide (NOx) up to nine times EPA’s standard. The vehicles covered by the EPA’s NOV are the US diesel versions of: the 2014 VW Touareg, the 2015 Porsche Cayenne, and the 2016 Audi A6 Quattro, A7 Quattro, A8, A8L, and Q5. 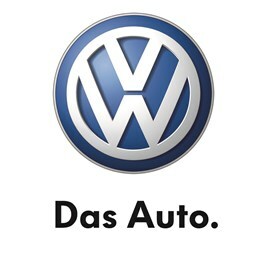 In a statement, VW Group said: “The United States Environmental Protection Agency (EPA) informed Volkswagen Aktiengesellschaft on Monday that vehicles with V6 TDI engines had a software function which had not been adequately described in the application process. VW said it will cooperate fully with the EPA to clarify the matter. These alleged violations are in addition to the first NOV issued on September 18 and the ongoing investigation by EPA alleging a defeat device on certain 2.0-litre engines for vehicles between 2009-2015.